Seven days later, this year’s Summer Games Done Quick speedrunning marathon has come to an end, but not before raising $1,760,400 for Médecins Sans Frontières (Doctors Without Borders). Last year’s event raised around $1.3 million for the organization, making SGDQ 17 a record breaking year (AGDQ 17 was earlier this year and broke its own previous record for charity donations by $1 million). A bidding process helps encourage people to donate by augmenting speedruns or letting the audience choose what characters will be named. $2,740 was raised at the beginning of this year’s marathon simply to get speedrunner Halfcoordinated to hold an Emil plushie in one hand while he completed NieR: Automota with the other. Featuring an array of wide-ranging games, SGDQ 2017 showed just how much the event has continued to grow. 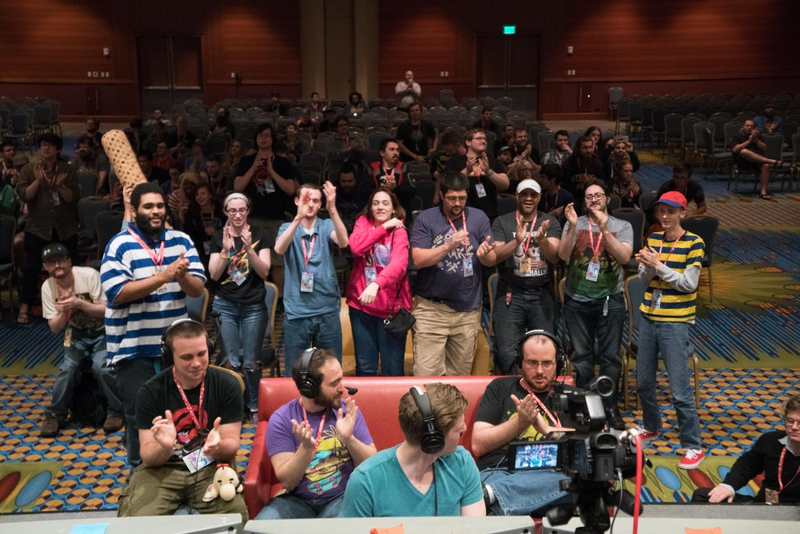 Similar to its sister-marathon hosted in the winter, Awesome Games Done Quick, the phenomenon has become a grass-roots organized cultural touchstone for many in the gaming community. Hundreds of people get together in a hotel conference room and play their favorite games really fast, while hundreds of thousands more watch them do it online. Book-ended by a new and old fan-favorite, NieR: Automata and Earthbound, the event included everything from expert runs through Super Monkey Ball and Super Mario 64 to multi-hour affairs as speedrunners tackled lengthy JRPGs while explaining their intricate inner workings. Right before the last run of the event, a special run by Azorae featured the speedrunner completing Portal 2 in co-op mode all by himself. With two mouses, two monitors, and no hesitation, it was something amazing to behold (especially for anyone who’s struggled just to beat the game alongside another competent individual). You can find a few of our favorite runs from this year’s SGDQ here, here, and here. You can also flip through the organization’s YouTube channel where all of them have been archived.